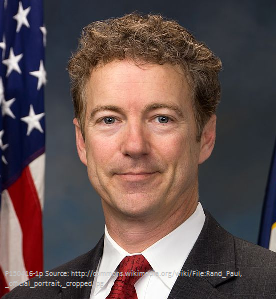 “As President,” says candidate Rand Paul, “I will work to authorize common sense solutions that will solve our nation's fiscal crisis.” He has floated a broad proposal for a constitutional amendment that would require the federal government to balance its budget. Soon he will need to start filling in the specifics. Here are some ideas that would combine common sense and fiscal prudence while remaining true to Paul’s libertarian principles. Rand Paul is no anarcho-capitalist. He sees a legitimate, but limited, role for government in national defense, law enforcement, the justice system, and certain other areas. As Ralph Benko notes in a recent Forbes article, that places him in the classical liberal wing of the libertarian movement. With the option of zero government off the table, the remaining minimal state must raise revenue and spend it. A libertarian of classical liberal inclinations cannot get along without some kind of fiscal policy, so what should it look like? The first principle should be, “Do no harm.” In a medical context, that precept will be familiar to a physician like Senator Paul. In economics, “do no harm” means a policy of fiscal neutrality—one of managing both the revenue and spending sides of the budget in a way that disrupts the functioning of the market economy as little as possible. Unfortunately, many past Republican proposals for budget balancing do not meet the standard of fiscal neutrality. Take, for example, the balanced budget amendment proposed not long ago by Utah Senators Orin Hatch and Mike Lee. As I discussed in an earlier post, that proposal, and others that would require the federal budget to be exactly balanced each year, would be the opposite of neutral. This is really an awesome blog post, I like your accent and the way you written this article.